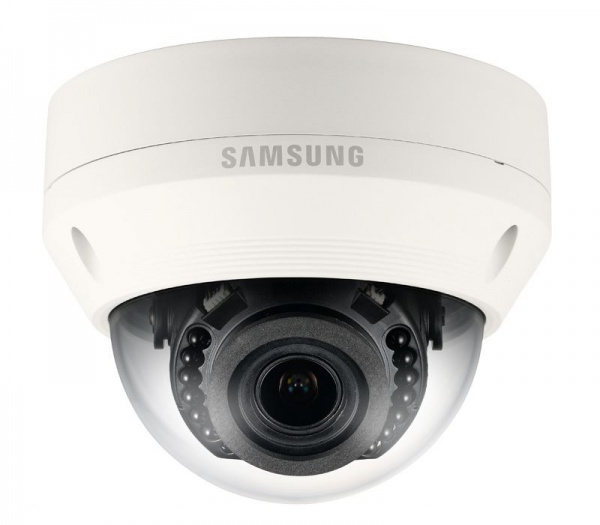 The SNV-L6083R is a Full HD IP66 outdoor, IK10 vandal dome camera with a varifocal lens and 20 meter IR LEDs. Hallway View mode optimizes the image for portrait orientation, perfect for parking lots, roadways, hallways, & more. Powered by PoE it can withstand conditions down to -22°F. Tampering detection can provide notification upon damage resulting in a significant change to the camera image. The SDHC memory card slot allows on-camera recording up to 32Gb.